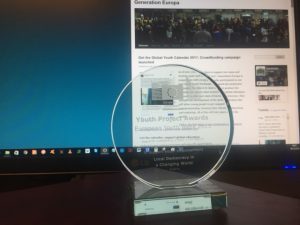 G enerationEuropa was awarded the European Youth Award in 2015 for outstanding quality in implementing an Eramsus+ funded project. 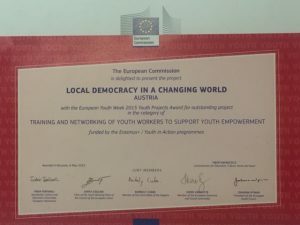 Specificaly the project „Local Democracy in a Changing World“ was chosen as a best practice model in the category Training and Networking of Youth Workers to support Youth Empowerment. 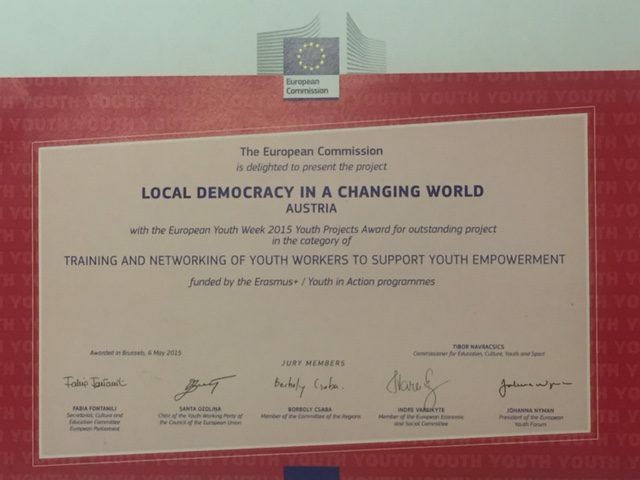 Wolfgang Sieberth together with Igor Novitski, representing our partner from Krasnodar/Russia, attended the award ceremony in Brussels.